Ventnor is a small town with a rich artistic heritage. Located on the southern tip of the Isle of Wight and build along steep zig zag roads that wind down from St Boniface Down, the highest point on the Island, to the beach below, it is often described as an "island within an island" because of it's unique feel. Developed by the Victorian’s from a small fishing village to a busting health spa many of the era’s most famous poets and writers stayed in the town including Charles Dickens, John Keats and even Karl Marx! Poet Laureate Alfred Lord Tennyson lived up the coast at Freshwater and Algernon Swinburne was born in neighboring Bonchurch. After a period of decline following the closure of both the town’s railway stations and the demolition of the Royal National Hospital (now the site of the Ventnor Botanic Gardens) the past ten year’s has seen the town gradually emerge as the Island’s creative and gastronomic hub with numerous restaurants, cafe’s and specialty shops. 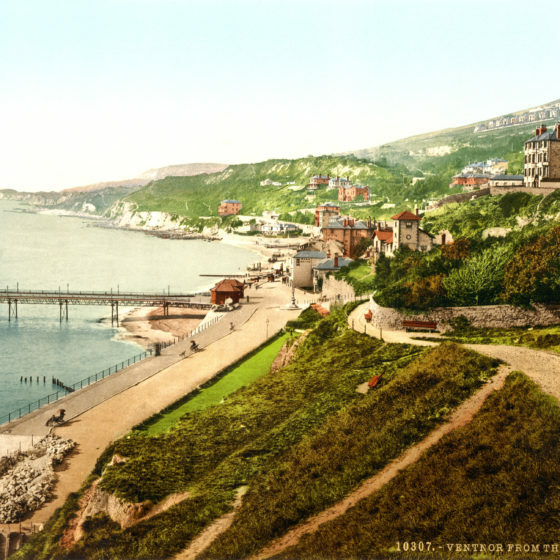 Launched in 2010, the Ventnor Fringe has been part of a wave of new creative organisations starting up in the town, joined by the Ventnor Arts Club in 2013 and the Ventnor Exchange in 2014.